There was some issue while deleting red request in ADSO and we tried multiple times to delete the data manually but due to some unknown reasons we are unable to do it manually. After analyzing the issue we followed below steps to delete red request and how to make yellow request to red(Long running job). The procedure here is different than compare to standard DSO. 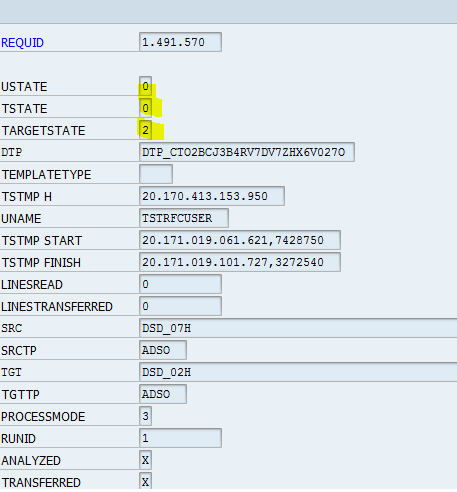 Scenario 1: How to cancel long running job or from yellow to red status in ADSO? 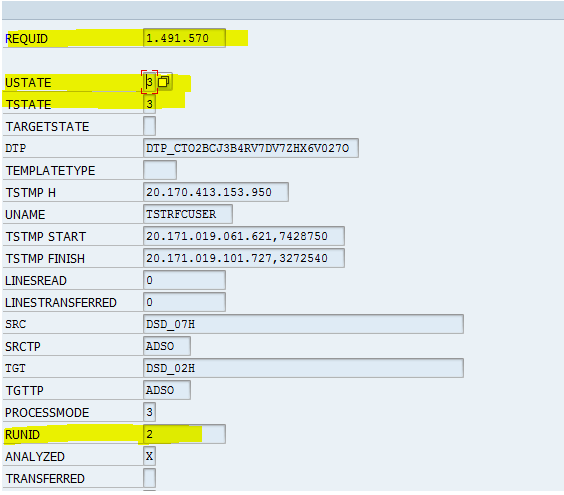 Go to RSPMREQUEST table and mark filter with Y as highlighted below and input target ADSO, Don’t select other fields. Execute you see one request in output which is active. After getting output select that request and display so you will see the screen below like this, Then through debug mode change the Y status to RR(This means making request red) and save the record. Check the monitor screen of ADSO request will be marked as red. Then we can delete the request manually. 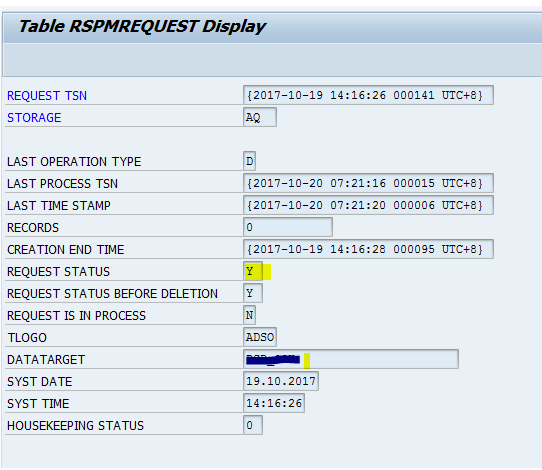 Scenario 2: How to delete red request from ADSO? Now you need to find the request number which is in the dump, For that you need to drill down the dump details find the variable I_REQUID in our example 1491570. Provide request number which is given in above dump. Input only request number and execute you will see below details. You need to change the below fields as highlighted below through debugging mode and save the entry. Post you can delete the request from ADSO. Normal DSO deletion red request you can find documents in SDN but this type of scenario it’s very difficult to find indeed I did not find in SDN, But due to multiple sources and gathered information we tried above steps and it went successful.